"Jewish only roads" Is it so hard to correct an error? Yishai Goldflam, editor-in-chief of Presspectiva, CAMERA's Hebrew Web site, published an Op-Ed column in Ha'aretz, faulting that paper and other Israeli media for spreading the falsehood that Israel maintains "Jewish-only" roads in the West Bank. This is significant, especially since the fiction of "Jewish-only" roads features prominently in "Israel apartheid" mythology and is frequently cited by anti-Israel and pro-BDS (boycott, divest, sanction) agitators. Do there exist roads in Judea and Samaria that are designated for "Jews only"? Are Christians and Muslims really prohibited from traveling on roads across the Green Line? This charge, which is often voiced in these parts, including in this newspaper, provokes condemnation of Israel's alleged racism-- and is simply untrue. There appears to be a terminology confusion that produces a factual error that harms legitimate discussion and criticism of Israeli actions. Here are the facts: the state did, indeed, impose restrictions on certain roads in Judea and Samaria several years ago and did not allow Palestinians to travel on them, especially after the eruption of the second intifada. But most of the restrictions were already removed in 2009. Today, most West Bank roads are open to the majority of the Palestinian population. And even at the time those roads were restricted for Israeli use, they were never restricted to Israeli Jews alone. The roads were open to all Israeli citizens -- Muslims, Christians, Druze and Circassians. There was never a religious or ethnic-based separation on the roads of Judea and Samaria. Actually this fact is crystal clear to anyone who has ever been to the area. Only someone who has never traveled in territory over the Green Line could possibly believe the claim that there exist roads for only Jews. Today, one can see license plates of Palestinians from Jenin to Hebron, on bypass roads that were allegedly built for Jews only, for example, the Qalqilya bypass, the southern Nablus bypass, and the Ramallah bypass roads, as well as on main roads like Route 505 leading to Ariel -- a road that was labeled at least twice in this paper "an apartheid road for Jews only." After three years of intense physical and mental training, constant high-stakes challenges and numerous eliminations, the newly ranked Lieutenant “G” will receive his wings today and become an official pilot in the Israeli Air Force. Lieutenant G, who could not reveal his full identity, is no ordinary pilot. Though the young officer lived in Israel until age six, he grew up and was educated in Canada and then Australia. 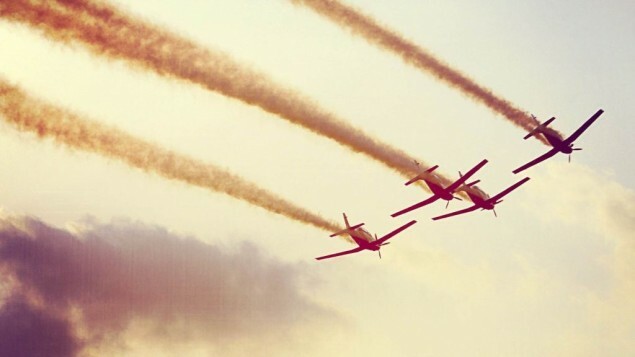 While the graduating pilot was brought up in a Zionist household that was part of a Jewish community, “a Jewish community that loves Israel is different from a Jewish community that’s in Israel,” he said. Upon turning 18, the lieutenant made the decision to return to Israel as a lone soldier, an individual from abroad who chooses to come and serve in the Israeli army. It was his strong Jewish and Zionist identity that compelled Lieutenant G to not only serve in the army, but to choose the additionally strenuous and elite Israeli Air Force, a 12-year commitment. 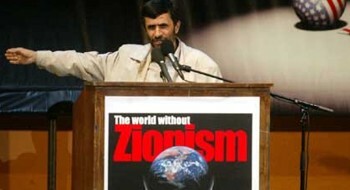 “I believe that Zionism is coming to Israel and living here. As much as donations help, my vision of Zionism is based on living and ‘working the land,’” he explained. As I mentioned last Friday, my team and I at Latma, the Hebrew-language media satire website I run, decided to take some time off from our flagship television-on-Internet satirical newscast The Tribal Update. We're using our time now to develop and try out new concepts, actors, production techniques and basically let 'er rip. This week we came up with several sketches. We're only on the beginning of this process, and the nice thing about it is that we can end it whenever we want and go back to our regular framework, but I think we'll go on for a few more weeks. Below is some of what we were working on this week. I'd love your thoughts on what we've done. (Video) Dear Tagger: Who Am I When You See Me? This excellent short film is participating in a competition entitled "What Is Zionism Today?". Take a look, and a 2nd look, as judgments are formed, labels given, the door closed but a brief moment later with a change of scene, a new truth emerges, and for the better. How to vote: Enter the link above. On the resulting page you can see the video. Below which there is a blue button with the "like" sign. Click on the button, and your vote will be recorded! Thanks to Rabbi Tzvi Ron for help with translation from Hebrew!! In 1927, an earthquake struck Jerusalem, killing 130 people, wounding 450 and destroying or heavily damaging about 300 buildings, including Al-Aqsa mosque. The Muslim waqf, led by Grand Mufti of Jerusalem Haj Amin al-Husseini, began restoring the mosque. 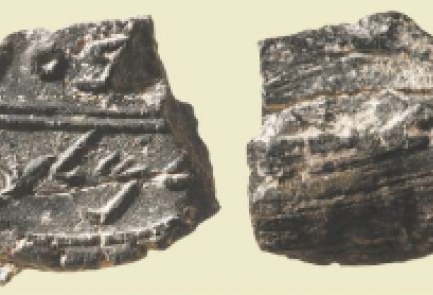 Robert Hamilton, the director of the antiquities department during the Mandatory period in pre-state Israel, spotted an opportunity in the midst of disaster. Hamilton took advantage of this unexpected window of opportunity to reach an agreement with the waqf that would allow archaeological investigation on the Temple Mount, for the first time ever, in the area where the mosque had collapsed. Hamilton documented the reconstruction work done by the waqf, photographed, sketched, excavated, analyzed and wrote about a series of findings, some of them surprising. But this unprecedented cooperation between the British archaeologist and the Muslim clerics was not without a price. In the book that Hamilton later published, he makes no mention of any findings that the Muslims would have found inconvenient. It was no coincidence that these findings came from two historical periods that preceded the Muslim period in Jerusalem: the Second Temple era and the Byzantine era. These findings were hidden deep in the Mandatory archives department (which today is part of the Antiquities Authority archives in the Rockefeller Museum). These days they are finally coming to light. Eighty years later, Hamilton’s hidden findings are providing support for similar findings unearthed by two Israeli archaeologists, Dr. Gabi Barkai and Zachi Dvira. For the past seven years, Barkai and Dvira have been working on a unique project: sifting tons of earth that the waqf removed from the Temple Mount in the dead of night about 13 years ago. This earth is filled with tiny archaeological findings. Some important background: In 1999, during preparations to install the gates of Al-Marwani mosque in Solomon’s Stables at the southeastern corner of the Temple Mount, the Muslims brought in bulldozers and dug a pit deep and wide. This scandal, which has already been described in the most condemnatory terms possible, led recently to a comprehensive report by the State Comptroller’s Office — a report that is, unfortunately, classified. Still, some good has come from the bad. Among the dogmas that hold sway in foreign policy salons despite abundant evidence to the contrary, few seem more resilient than belief in the peaceful intentions of the so-called “moderate” Palestinian Authority. But for all the author’s expertise and inside access, the article was highly misleading – less by what was said, than by what was not said. Much of the pertinent factual context was simply omitted. Yet as a representative sample of “peaceful Palestinian Authority” dogma, analysis of the article’s errors can be very illuminating. The central points of Mr. Thrall’s article were a prediction and a judgment. He predicted that growing Palestinian rage will soon result in a major outbreak of Palestinian violence against Israel; and he judged Israel guilty for causing the Palestinians’ rage. Oops, sorry, he doesn't hate Jews. He hates Zionists. The 1979 peace treaty between Israel and Egypt has become a front-and-center issue in Israel's new relations with a Muslim Brotherhood government in Cairo. "Perceptions are rife in both countries that the other side has failed to honor key elements of the deal," Greenberg writes. Given this situation, it's instructive to examine the nature of the respective complaints, which Greenberg enumerates, and their validity, which Greenberg fails to address. Is the Mercouri prize political? It is interesting that this is a biennial prize, first awarded in 1999 to Elishia’s Spring, Jericho (Palestine) and that the 2011 award to Battir marks the first time the price has been given twice to a the same country. Cohen viewed writers, editors and publishers as drawing maps for their consumers, and the danger was in getting lost. Drs. McCombs and Shaw added the agenda-setting concept – the more frequently an item is repeated and the more prominent the coverage it receives, the more important audiences will regard the issue to be regardless of its true value. There is another important concept, especially prominent in Israel’s media; the use of language. Society is influenced not only by the language used by the media, but more so by the language it isn’t “authorized” to use. Are these “youngsters” kids? Or perhaps teenagers, or even young men? Could they be Jewish? If so, were they haredim, or crocheted- skullcap wearers, or secular? Or maybe they were Christian? Journalistic ethics dictates that ethnic labeling is to be avoided, and Ynet justifiably did not use an ethnic headline. On the other hand, the story continues, we learn from the firefighting unit’s spokesperson that between June 1 and June 16, 284 fires had been deliberately set in periphery neighborhoods such as Har Homa, Arnona and Armon HaNatziv. What could be behind these torchings? Is it pyromaniacs or anti-state elements? Why does Ynet does not find it necessary to consider the possible motivations for such crimes? Did the Ynet reporter ignore his investigative training and simply not ask the spokesman? Or perhaps the perpetrators are not “price tag” activists, so that it would be embarrassing to actually disclose what really motivates such acts? Or did he ask the question and his editor spiked that portion? Why exclude the possibility of a nationalist-inspired crime? And now we have experienced fires set near Lifta and Motza near Jerusalem. 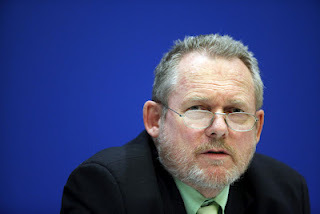 Dear Minister Davies, the UN did not demarcate Israel’s borders in 1948. While Emmanuel Navon has been otherwise occupied for the last few months, today he has returned in full force with a new post "Hopeless or Infinite?" on his For the Sake of Zion blog. A hearty welcome back and now to the issue at hand. The UN did not demarcate Israel’s borders in 1948. On November 29, 1947, the United Nations General Assembly approved the recommendation of the United Nations Special Committee on Palestine (UNSCOP) to divide the British Mandate on Palestine between an Arab state and a Jewish state (Resolution 181). This vote constituted a mere recommendation since General Assembly resolutions are not binding in international law. Thus, the idea that the UN “created” the state of Israel with Resolution 181 is mistaken (the General Assembly can approve the admission of new states to the UN, but it cannot create states). This resolution became moot as soon as it was passed since the Arab states flatly rejected it. The Palestinians may appeal to the United Nations for statehood. Again. That was the message out of Ramallah on Sunday, June 24, when Fatah, the dominant Palestinian faction in the West Bank, concluded a meeting of its congress. If you listened closely, you might have heard a collective head slap halfway around the world at Foggy Bottom. The U.S. State Department fought hard last year to derail this very process at the annual U.N. General Assembly meeting in Manhattan. The Palestinians delivered their request, but failed to garner enough support in the Security Council, thanks to heavy U.S. and Canadian lobbying. U.S. diplomats then prevailed upon the Palestinians to shelve their application for nonmember observer status, which would have granted them some of the rights afforded to sovereign states, including the ability to sue the Israelis for war crimes at the International Criminal Court in The Hague. The Palestinians backed down last year. This year, they may not take no for an answer. Although deposed Egyptian President Hosni Mubarak once single-handedly reined in Palestinian adventurism and prodded Palestinian Authority (PA) President Mahmoud Abbas back to the negotiating table, his successor, Muslim Brotherhood leader Mohamed Morsi, may not follow suit. To put it mildly, encouraging diplomacy with the Israelis has never been part of the Brotherhood's platform. 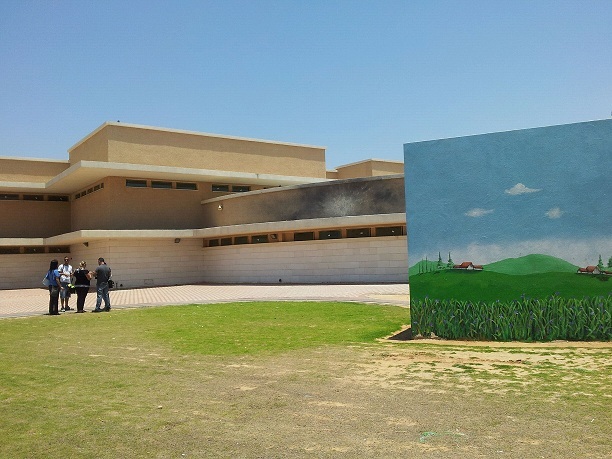 High school students who have learned to deal regularly with rockets from Gaza landing nearby will open the school year this September with a brand new, fortified campus. 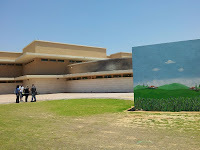 The school, officially named Yitzhak Shavit Sha’ar Hanegev School, was dedicated on Tuesday night in the presence of Education Minister Gideon Sa’ar, school principal Aharale Rotstein and regional council head Alon Schuster. Dozens of rockets have exploded on the former, 50-year-old Sha’ar Hanegev School campus to this day. Planning began for a new, protected school – to serve the region’s 1,200 high school students – following both a High Court and government decision four years ago, according to the council. 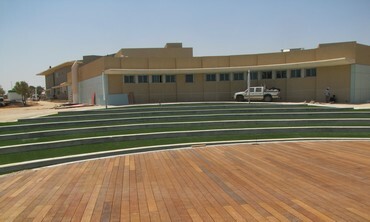 Construction of the sprawling, six-hectare campus began two years ago. “I think that building a new school in Sha’ar Hanegev is progress in a fundamentally important issue,” Schuster told The Jerusalem Post on Wednesday. “There is no need to explain why education and in our case the safety of the kids is so crucial for every human being. The video below is from footage of a Gaza police academy graduation ceremony, in which Hamas Minister of the Interior and of National Security Fathi Hammad delivered an address. The footage aired on Al-Aqsa TV on June 13, 2012. The finality of a ruling is a cornerstone of the legal system; once a final ruling is handed down, there can be no further debate. This is how the legal system avoids endless appeals and the uncertainty that accompanies them. But there is an exception to every rule, and this rule has exceptions in various legal fields. Though these cases are rare, it is possible, and wise, to enact these exceptions to the finality rule, especially when it is the only way to serve justice. For example, in a criminal proceeding, when new evidence that could exonerate the defendant is revealed after the final ruling is made, it would be right to hold a retrial and reduce the sentence or even to acquit the accused. The same is true for alimony rulings, when a significant change in the circumstances justifies an adjustment of alimony payments. If such exceptions occur in district courts, they should certainly occur in the High Court of Justice. As its name suggests, the High Court of Justice does not only rely on legal considerations but also feeds on the laws of integrity and justice. There are unusual cases when justice requires overturning even final verdicts. If the news reports are true and Jews have legally purchased the land on which the outpost of Migron is situated, from willing sellers and for the full cost, then the verdict ordering the outposts' evacuation must be reconsidered. In light of the new circumstances, there is room to make an exception and reopen the case before the High Court of Justice in order to reach a more just verdict, especially considering that Migron's residents bought their homes in good faith and with real money. 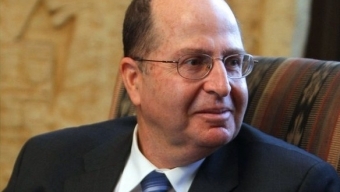 A recent interview by journalist Ari Shavit with former IDF Chief of Staff, now Vice Premier, Moshe Ya’alon, provides a fascinating insight into the thinking of one of Israel’s most sophisticated political leaders and covers the crucial challenges facing the nation. It deserves to be widely read. Ironically, the extensive interview was published in the weekend magazine of Ha’aretz, the Israeli daily notorious for promoting the very delusional views which Ya’alon’s interview devastatingly demolishes (link). Coincidentally, precisely seven years ago, I devoted a column to Ya’alon, describing him as one of the most adroit strategic thinkers to have headed the IDF. He was then accused of being disgruntled and embittered after his premature termination as Chief of Staff by then Prime Minister Ariel Sharon in response to his fierce opposition to the withdrawal from Gaza – for which he was subsequently totally vindicated. Yaalon was retired in the wake of his successful military response to terror which demonstrated that, contrary to the mantras invoked by the bleeding heart leftists, resolute military action can significantly neutralize terrorism. He was also proactive when he instituted dual track initiatives of targeted assassinations and construction of the security fence, the combination of which effectively brought an end to the Second Intifada. In my earlier column, I expressed frustration and anger that, in a country facing existential threats from its neighbors, a retiring Chief of Staff’s explicit warnings of disastrous repercussions arising from the policies of Prime Minister Ariel Sharon had been totally ignored by the Government and Opposition. Regrettably, his predictions were subsequently basically realized. When I checked my e-mail this morning, I was pleased to see that Reuters responded to one of our readers who contacted them about the issue raised in yesterday’s video – namely that the headline of their article accused Israel of breaking a truce with Hamas by responding to a rocket attack. 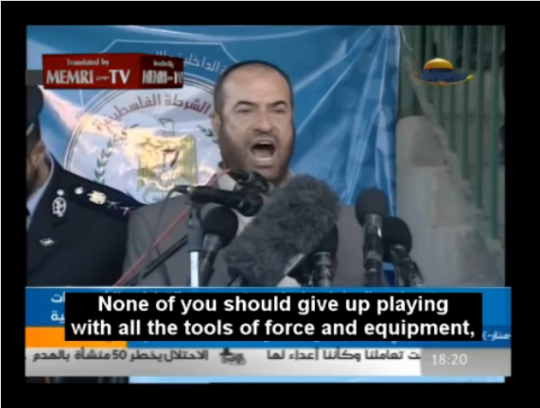 It does not take expert anaylsis to understand that if Hamas is launching rockets at Israel, there really is no truce that Israel could break with a response. So as I said, I was pleased that one of our readers had pointed out their error and assumed that they had fixed the mistake — no doubt caused by hasty editing rather than a purposeful attempt to malign Israel. But then this is Reuters. And when I read the new headline, it wasn’t much better. (Reuters) – Israel launched two air strikes in Gaza on Friday, killing two Palestinian militants and wounding five other people as rockets fired from the enclave slammed into its southern region, threatening to unravel an Egyptian-brokered truce. Nothing “shook” the truce. Palestinian terrorists fired rockets at Israeli civilian areas. 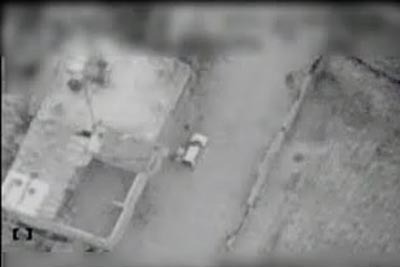 Hours later, Israel attacked (from the air, lest anyone think that the word “raid” implies that Israel entered Gaza on the ground) terrorists preparing to launch more rockets. Would it be asking too much for Reuters on their correction to get the story right? You can comment on the revised Reuters article here. 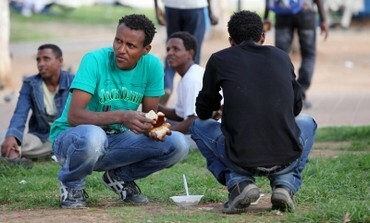 CAMERA - Another Double Standard for Israel on Refugees. Where's the Coverage? The 1951 Refugee Convention establishing UNHCR spells out that a refugee is someone who "owing to a well-founded fear of being persecuted for reasons of race, religion, nationality, membership of a particular social group or political opinion, is outside the country of his nationality, and is unable to, or owing to such fear, is unwilling to avail himself of the protection of that country." Only refugees have protected status under international law and the preferred outcome for them is to be repatriated. 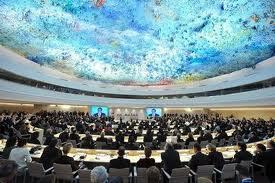 According to the UNHCR Handbook for Repatriation and Reintegration Activities, "The UN General Assembly (GA) has repeatedly affirmed UNHCR’s function of promoting/facilitating the voluntary repatriation of refugees." 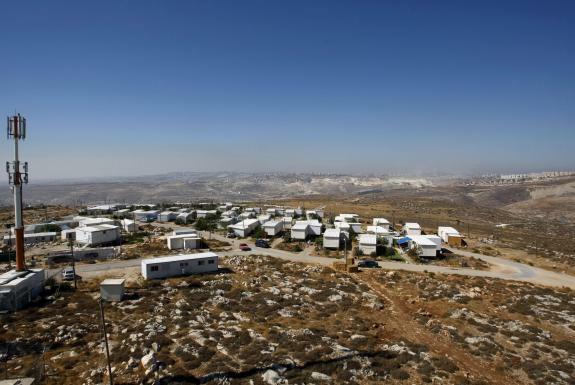 This week saw a generally peaceful evacuation of 30 Jewish families, settlers from a Beit El neighborhood in the West Bank -- a move ordered by Israel's Supreme Court which found that five buildings were on Palestinian land. 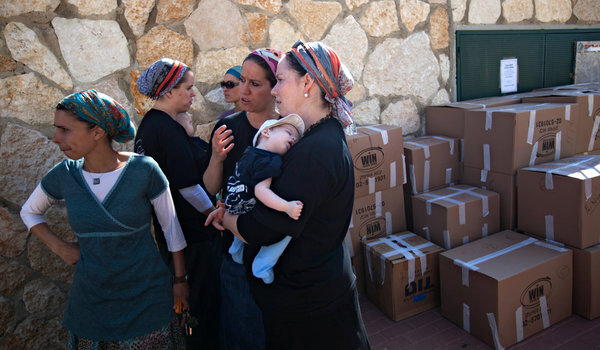 For the affected settlers, it was a wrenching experience, but with urgings from their rabbi to comply peacefully, they packed up and moved to new housing elsewhere in Beit El. 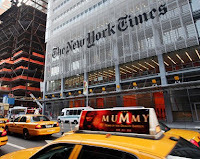 One would think that such compliance with a lawful court order on a highly politically sensitive issue might be depicted as Israel going the extra mile to advance the peace process -- but not by the New York Times. In fact, in its June 27 edition, the Times runs a purported news article by Jerusalem bureau chief Jodi Rudoren that manages to use this event to indict Israel as driving another nail in the coffin of a two-state solution. ("Settlers Begin Mandatory Evacuation of a West Bank Outpost" page A10). In Rudoren's view, Israel -- and only Israel -- stands in the way of a peace deal with the Palestinians. Mahmoud Abbas is automatically forgiven for refusing to resume negotiations. I dealt with this issue of the injustice in some detail in a recent posting that can be accessed here: http://arlenefromisrael.squarespace.com/current-postings/2012/6/20/june-20-2012-the-face-of-things-to-come.html . And yet, I believe they acted properly in deciding to go quietly. No active protest -- as was seen at Migron -- would have prevented this evacuation. 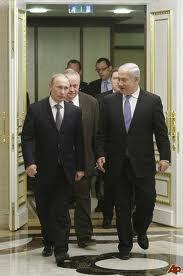 What it would have done is to pit Jew against Jew -- providing ugly fodder for the international press. Their fighting would have convinced no one who did not already understand the rightness of their position, nor would it have reversed the situation. Rather, it would have provided "evidence," for those quick to assert this, of the inherent violence of "settlers." And it would have traumatized the children. “We don’t believe in clashing with security personnel,” resident Michal Kramer told Israel Radio yesterday. "This is a personal moment of grief, I'm in mourning. Our hearts are broken, but we will hold our heads up high. No one will break our spirit." Whether the "victories" that have been negotiated, such as the building of 300 houses on that army base in Beit El, actually materialize will in large part depend upon the sincerity and determination of the prime minister. Ma'ale Adumim, a modern city of 39,000 people in the Jerusalem suburbs, is about 7 kilometers east of where we are writing this. The name is mentioned in the Bible's Book of Joshua; it marked the border between the Israelite tribes of Judah and Benjamin. In the Book of Luke in the New Testament, it's where the Good Samaritan parable is set. Currently there's a shortage of good Samaritans in the area. On December 17, 2011, one of the security guards manning the checkpoint at the community's entrance was stabbed by an unknown assailant who spoke Arabic [report]. A 21 year-old suspect by the name of Hanaishe, a resident of the village of Qabatiya, was arrested two months later and [according to Ynet's account] admitted to the stabbing, ascribing nationalistic reasons to no one's surprise. This afternoon (Wednesday), there was a similar stabbing in more or less the same place, with a different outcome. 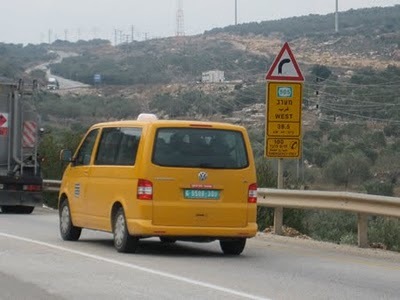 A Palestinian Arab who lives in Bethlehem, south of Jerusalem, drove a Mitsubishi which, according to an initial report was owned by an east Jerusalem resident, came into Ma'ale Adumim and attempted to run over a police officer. Unsuccessful in this, he rammed the borrowed vehicle into a police squad car. What follows next is according to the reported testimony of Superintendent Uri Yoran, commander of the Ma'ale Adumim police station. Iran’s apologists and others seeking to head off the effort to stop Iran from attaining nuclear weapons have been doing their best to portray the Islamic Republic as a reasonable nation run by rational persons. The goal of these arguments is to assure the world that the ayatollahs and their minions can be trusted to keep their word if the West negotiates a deal that would allow the Iranians to keep a peaceful nuclear program. Others go so far as to assert that a nuclear Iran would not be a threat to the West or Israel because its leaders are neither suicidal nor really bent on Israel’s actual destruction. But the problem with the Iranians is that their ideology of hatred is so deeply embedded in their political culture that they can’t help but undermine the efforts of those seeking to polish their image even when the world is watching. That’s what happened yesterday when the United Nations convened an international anti-drug conference in Tehran. At the event, Iran’s vice president greeted the delegates by telling them the key to understanding the plague of the illegal drug trade was, you guessed it, the Jews and Judaism. 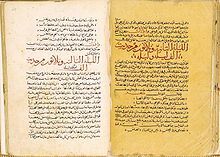 Vice President Mohammad-Reza Rahimi said the Talmud, a sacred text of Judaism, was responsible for the spread of drugs because it instructs its adherents to “destroy everyone who opposes the Jews.” As the New York Times reported from the conclave, European diplomats who came to make nice with the Iranians were “shocked.” But even this display was not enough to convince the West to connect the dots between this open display of hate and Iran’s nuclear ambitions. Leave it to the New York Times to cover the "heritage" of the West Bank village of Bittar, named after the ancient Jewish site of Beitar, while ignoring its historical significance in Judaism. In this scenic Palestinian village in the West Bank hills near Bethlehem, just south of Jerusalem, a week is said to last eight days, not seven. That is because Battir’s eight extended families take daily turns watering their crops from the natural springs that feed their ancient agricultural terraces, a practice they say has worked for centuries. At the annual American Jewish Press Association (AJPA) Conference, held last week in Philadelphia, a newsworthy session was held with Chemi Shalev, the newly appointed US correspondent for the English language edition of Haaretz. Working with foreign journalists in Jerusalem for the past 25 years, the significance of Haaretz reaches beyond its scope as a daily newspaper in Israel. The Haaretz English edition, sold in Israel together with the International Herald Tribune, is the paper of record for reporters who cover complexities of Middle East issues. Therefore, the opportunity for AJPA to hear Shalev's insights into the Middle East reporting policies was significant. In light of increased sensitivity to intelligence leaks, it seemed innocuous – or even admirable – when the Office of the Director of National Intelligence (ODNI) asked the Senate to remove a few words from the US-Israel Enhanced Security Cooperation Act: the "sense of the Senate" part of the bill included the sentence, "Expand already close intelligence cooperation, including satellite intelligence, with the Government of Israel;" ODNI wanted the words "including satellite intelligence" to go. An ODNI spokesman said it was "simply a matter of clarifying the intelligence aspects of the bill and being sensitive to the level of specificity of the language…nothing nefarious here, just more clear language." This is just the latest example of the Obama Administration making clear that it does not want to be seen as Israel's partner in regional affairs – several of them predicated on Turkish desires. Despite Israel's status as a Major Non-NATO ally, a NATO "partner" country, and a member of NATO's Mediterranean Dialogue, Turkey is increasingly insistent that Israel be isolated and cut out. This surrender to Turkey -- which Turkish Prime Minister Recep Tayyip Erdogan has for years been aggressively making ever more fundamentalist -- coincides nicely with the Administration's increasingly open courtship of Turkey's Islamist-leaning and virulently anti-Israel Prime Minister and what appears to be the desire of the Administration to enhance security relations in the Arab-Muslim world as it dials back visible cooperation with Israel. This is no small matter. Israel's security is threatened -- above all by the refusal of the Arab States to accept that it is a legitimate, permanent part of the region in which it lives. For the U.S. or Turkey -- formerly a partner in regional security – to distance themselves from Israeli security is to raise hopes among enemies that they will ultimately be able to threaten Israel without fear of a U.S. or NATO-allied response. The ever-watchful Yisrael Medad with the latest from the creators of "The One Thousand and One Nights"
Palestinian refugees: How many are there? RAMALLAH, June 20, 2012 (WAFA) – Number of refugees registered in the United Nations Relief and Works Agency for Palestine Refugees (UNRWA) totaled 5.1 million in 2012, according to a statistical review on the current status of the Palestinian refugees published Wednesday and prepared by the Palestinian Central Bureau of Statistics (PCBS) on the eve of the International Day of Refugees. Recent digitisation of UNRWA’s registration records enables us to present more detailed beneficiary statistics. Other registered persons include those eligible to receive services. Which means that UNRWA is providing services to 318,032 people that even UNRWA does not consider refugees. But this is hardly the worst mis-characterization of the word “refugees” when applied to Palestinian Arabs who fled in 1948. Nestled away and nearly completely hidden deep inside the Gush Etzion forest, 52-year-old Susan Levin spends her days inside a 50-meter building measuring and mixing, boiling and bottling. With her hair always covered and her long skirt nearly hitting the floor, one might assume Levin is perhaps busy cooking up some matzo ball soup in bulk, maybe as a caterer for weddings or Bar-Mitzvahs. 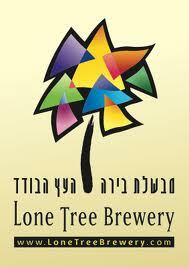 In actuality Levin, who made aliya from the US six years ago, and was looking for a change in career, is the one and only female “settler” brewster in all of Judea and Samaria and is the co-owner of the Lone Tree Brewery, a boutique beer manufacturing plant which produces eight kinds of high-quality suds with an average output totaling 800-bottles per month. Levin says that she is “proud and, even more so, privileged to be able to call Gush Etzion her home,” for its rich Jewish history, and is grateful to be producing “a completely natural and healthy product” that has been a staple of nearly every civilization throughout history. Ulpana: A legal and judicial travesty. 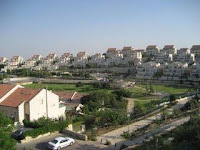 In 2011, the State Prosecutor’s Office asked the High Court to remove a few buildings in Beit El which it said had been built illegally on “private Palestinian land.” The Court accepted this request and ordered the buildings removed by July 1, 2012. 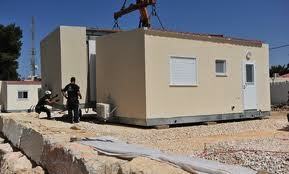 No court, however, heard evidence or adjudicated the question of landownership in Beit El. Despite ample evidence of serious flaws in the judicial process, High Court judges, having made its decision, rejected further appeals for reconsideration - and there is no way to appeal their decision. 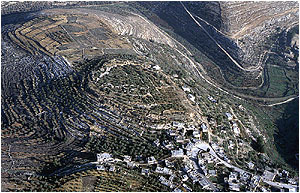 Such cases in which Jewish communities in Judea and Samaria have been destroyed and are threatened with destruction have exposed a widespread systematic corruption within Israel’s judicial system - the State Prosecutor, the Attorney General, the Civil Administration, the Military Advocate General (the IDF’s legal arm) and the High Court of Justice. In order to prevent settlement expansion, these state institutions use their power arbitrarily and without due process. This corruption represents the greatest threat to Israeli society and its so-called democratic system because it undermines the fundamental rule of law. Here’s how it works. Labor MKs expressed outrage on Monday that Russian President Vladimir Putin did not make time during his short visit to Israel to meet with their party chairwoman, opposition leader Shelly Yachimovich…. I don’t think many would agree that it harms Israeli democracy—nor could Putin possibly care less about anyone’s democracy. But the legitimacy argument is one that has followed, taunted, tempted, and usually disappointed Israel throughout her modern existence as a state. There is a reason it is at the heart of the Israeli-Palestinian peace negotiations—whether or not the Palestinians will recognize Israel, and whether the Arab states will normalize relations with Israel. Those Arab states are generally no better than Putin when it comes to their support for rogue regimes and terrorist groups (and in some cases are actual rogue regimes themselves). But removing Israel’s isolation on the world stage is an essential goal both for Israel and for the international community, which quite often asks Israel to do its dirty work, like taking care of budding nuclear reactors, or to accept Jewish, Arab, and African refugees that others won’t. 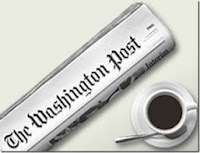 Yarden Frankl of Honest Reporting keeps us updated with the latest from Reuters. Last time it was Reuters failure in choice of pictures that accompany news articles. This time Reuters headline claims that Israel broke the cease-fire while in reality Israel was responding to rocket fire. If this bothers you, let them know. Click on "Contact Reuters" to make your voice heard. 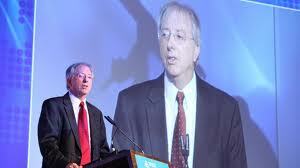 Click here to also watch HR presentation 'Defending Israel Against Claims of Excessive Force". For quite some time, former Foreign Ministry director general Alon Liel has called for peace with Syria with his one-man organization. This organization is part of the peace industry that has sprung up alongside the familiar industry of lies. A quick look at Syria now indicates how firm Liel's grasp on reality is. Now his bizarre political stance is also emerging: The same man who headed the Foreign Ministry and served as an Israeli ambassador to South Africa is now encouraging a boycott on products made in "occupied Palestinian territory" because "settlements are a violation of international law." He even hinted that Israel was an apartheid state — where of all places? In a South African newspaper. That's great! The peace industry wants to undermine Israel's industry. Liel has an original take on why the peace process is dying — it is not because of the terror and the suicide attacks, but rather because Israel's desire for peace was "myopic." He wrote that "this hope belittled the sense of outrage Arabs felt about what they considered a foreign intrusion." Oh, now we understand why rockets are being fired from Gaza into southern Israel. Whew, I feel better. Silly me, I thought that the myopia stemmed from Israel's irresponsible policy of bringing Palestinian terror gangs into the land west of the Jordan River, and hoping that they would ensure our safety. This stupid mistake was wrapped in media euphoria and international support until it blew up in our faces. The Palestinians proved time and time again that they are not interested in peace, because it would force them to recognize the Jews' right to a part of the historical Land of Israel, and that is not acceptable to the Arabs. Alinsky has been mistakenly labeled a communist ideologue. Alinsky was no communist. The Catholic Church actually hired Alinsky to break up communist cells, in the US, Western Europe and in Latin America. This is documented in The Radical Vision of Saul Alinsky, published in 1984 by Paulist Press, a Vatican affiliate. Caroline does not understand that Alinsky’s method of using creative tactics to universalize, humanize and empower a cause can be used by all sides – especially in Israel. One of Alinsky’s principles was that if and when you represent a small minority, you must align your cause with other minorities also affected. Alinsky posited that this tactic will never be understood by your adversary who cannot cope with diverse groups who unite to make the same demand. Roth - This morning's rocket attack on southern Israel caused damage to property. But property is not what they sought to hit. 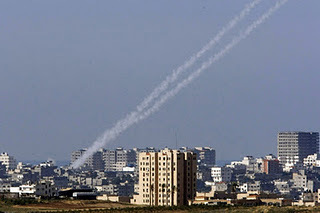 The intense rocket fire on southern Israel of last week has passed. The more normal situation of a rocket here, a rocket there, prevails once again as it has for most of the past decade. The way we see it, there is no reason for any self-respecting government to put up with this sort of Russian Roulette. But it's clear that this viewpoint is not widely shared outside of Israel, as evidenced by the zero level of media reporting on the indiscriminate rocket fire engaged in by the terror gangs of the Gaza Strip under Hamas leadership. Another rocket, evidently a Qassam, exploded in southern Israel in the early hours of this morning [report]. It crashed into the grounds of an agricultural community - a kibbutz - whose name and exact location are not being publicized for reasons of the residents' security. In the past hour, someone from the kibbutz made a video of the damage done to a chicken coop and posted it on YouTube. Dead chickens don't, and should not, evoke the horror and passions that dead human beings, dead children, do. But from the standpoint of the rocket-rich Palestinian Arab terrorists of Gaza, it's the same. 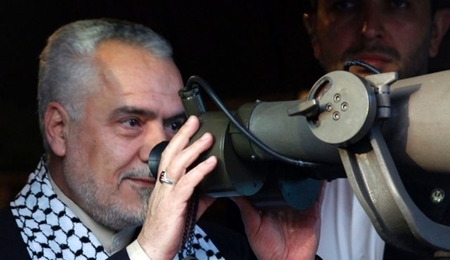 They hurl the rockets into the air in the general direction of Israel, and they pray to their deity that he should guide the explosive head to where it can do his will in the most effective way. Reality vs. fantasy: The need to develop a consistent and reality-based policy. I spent the weekend in the Sierra at 8500 feet. No Internet, not even cell service. When I returned, I found that the army had allowed Mohammad Morsi to be elected president of Egypt. Although the struggle for control isn’t over, I think that barring a violent confrontation (which the generals don’t appear to want), what we can expect is a gradual consolidation of power into the hands of the Muslim Brotherhood.This doesn't mean that war with Israel is imminent or inevitable, but it does mean that it will be impossible to depend on Egyptian security forces to prevent — or even to not abet — terrorism on the southern border. 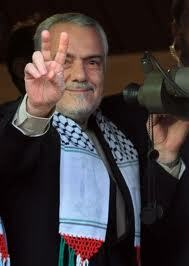 It also means that the position of Hamas, the Palestinian arm of the Muslim Brotherhood, will be greatly strengthened. Dawn breaks on the city of Sderot; it's a Shabbat, the day of rest. But as they say, there's no rest for the wicked. 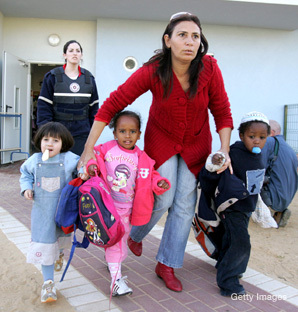 Some found that it would be fun to play "alarm clock" with the people of Sderot. It's six o'clock AM when “Tseva Adom” alarm echoes across the city. Getting out of bed is an afterthought for most. Yet the head does not quite stay on the pillow when a sound, as loud as a clap of thunder, rips through the air. It is a clear day: the rockets have landed inside the city's limits (bull's eye). The ripples of the hit cause car alarms to go off across the city, the window panes to shake in their frames, and people to run to the safe-rooms. That is, unless your skin has grown thick and your brain slow to react to something so common; after all, it is only six AM. So we cover our heads and turn to the other side, hoping to go back to sleep, denying this all the while. Brooke R. left a comment that I could not publish without commenting on my own and yet it would take too much space to do it in one post. So here is part 2. 50 rockets hit Israel, but how many people were injured or killed? If 50 rockets hit the West Bank or Gaza at least a thousand people would be killed or injured. The land you live on is stolen. The way you treat the people who you stole the land is abominable. If you lived the way they did you'd be angry too. If I lived the way they did I'd be angry. Crazy thing? There are people who are angry but who don't hate you like you hate them. Crazy thing is that those people are looking to their faith and what it teaches them, what God teaches us. To love, and not oppress. To love your enemy. I think its a bit out of whack for you to play the victim card. You are not a victim. The Palestinians are the victims. They are the victims of my government, your government, many Middle Eastern governments. For once why don't you try to put yourself in their shoes. Let go of your anger and victim mentality. That's what I try to do when I think about how your government treated me recently. The way you treat the people who you stole the land is abominable. If you lived the way they did you'd be angry too. If I lived the way they did I'd be angry. Crazy thing? There are people who are angry but who don't hate you like you hate them. Crazy thing is that those people are looking to their faith and what it teaches them, what God teaches us. To love, and not oppress. Years of anti-Israel incitement taught Egyptians to hate the peace treaty. Yet similar incitement in the PA and Jordan is still being ignored. On May 31, Israel delivered 91 bodies to the Palestinian Authority. The PA gave them full military funerals, complete with coffins draped in Palestinian flags and a 21-gun salute. While PA President Mahmoud Abbas didn't speak, he laid wreaths on the coffins and presided over the ceremony. The secretary-general of his office, Tayeb Abd Al-Rahim, and the PA's state-appointed mufti, Muhammad Hussein, both gave eulogies, in which they declared that the souls of the dead were urging other Palestinians to "follow in their path." It could have been any state ceremony for fallen heroes anywhere - except that many of the "heroes" whose path Palestinians were being urged to follow were vicious terrorists who collectively killed more than 100 Israeli civilians. But this blatant state-sponsored incitement elicited no protests from either Israel, the U.S. or the European Union. Nor is this exceptional: The monitoring organization Palestinian Media Watch documents almost daily incidents in which PA officials, the PA-controlled media, or PA-funded organizations glorify anti-Israel terrorism, reject Israel's right to exist, or deny the Jews' historic connection to the Land of Israel. Yet even Israel rarely protests, while America and Europe almost never do. Nor have the U.S. and Europe ever conditioned the hundreds of millions of dollars a year they give the PA on curtailing such incitement. For decades, the accepted wisdom has been that what matters is preventing violence and promoting a two-state solution; as long as the PA remains officially committed to the both, why upset the applecart over secondary issues? But if there's one thing developments in Egypt over the last year should have made clear, it's that incitement is anything but a secondary issue. For without a serious effort to end incitement and educate for peace, even a signed treaty may prove to be worth no more than the paper it's printed on. Guess Whose Coming to Donor? Sorry, This Information is No Longer Available. 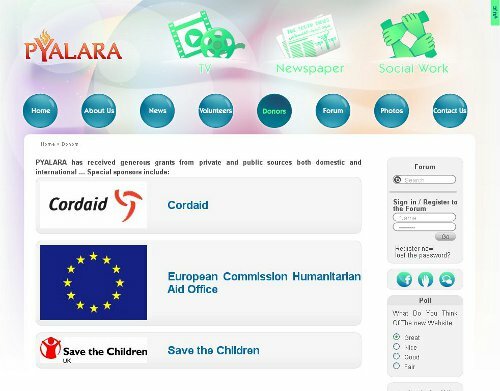 Following Palestinian Media Watch's report on the program for youth produced by the Palestinian NGO PYALARA and PA TV that glorified suicide bombers, PYALARA removed all reference to its international donors from their website. "PYALARA has received generous grants from private and public sources both domestic and international ... Special sponsors include:"
These words are now followed by a blank page as the names of all the "special donors" have been removed. Medad - Why not call it "price tag policy"? Kushner - From Israel: The "Arab Spring"
Freund - The Green Line? Say "Bye!" Abrams - How Many Palestinian Refugees? Kushner - From Israel: Face of Things to Come? Jarallah - Why Is the Peace Process Dead?